A Rainy but Fun UK Transnational Meeting! 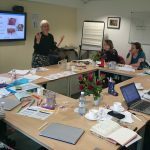 An ARTPAD meeting held on 5th and 6th June in Cheltenham was well attended by partners and gave us a useful opportunity to launch in to the detailed preparations for writing the ARTPAD course for teachers and youth workers. Aside from the very wet UK summer weather which disappointingly put our plans on hold to show our partners around Cheltenham, the 2 days was a great success and achieved a lot. 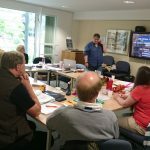 We were able to test run some of the materials that will be included in the modules around play and drama and to explore issues relating to how the course would be written and by when. 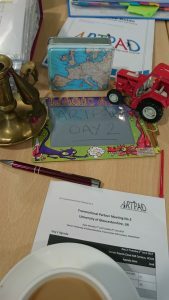 The ARTPAD course is ambitious in that it has a mixed target audience- teachers and youth workers. It also covers two subject areas that are both very different from one another- play and drama techniques. 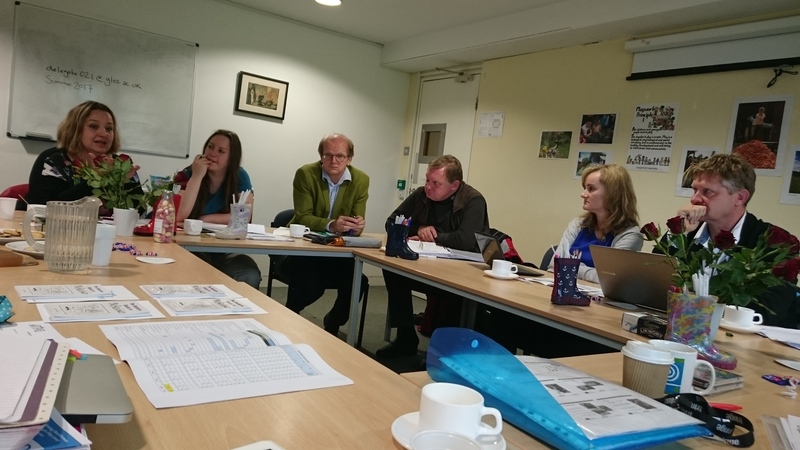 In addition, the end result is hoped will be improved provision for both in schools that will supports the development of resilience in young people and will have a positive effect on reducing school drop our/ disengagement in education and non-formal learning. Given this challenge, the group were also enthusiastic in planning the 2018 training of trainers in Poland which will be key to the success of delivery and is likely to be delivered at a training centre in a coastal location called Hel, as you’d expect, this provoked much hilarity about how the event could be branded- going to Hel and back! The team has fixed the date for this 12th– 16th March 2018 and afterwards local pilots of the course will be delivered. This seems like a long way off but as we know, things come around quickly especially when working transnationally, we need to have adequate time for planning. Keep your eyes posted for more news about that and also for details of events in each country in March/ April 2018 and of course the International Conference in June 2018. This a big year ahead for the project with hopefully lots of news coming out and we look forward to sharing it with you.